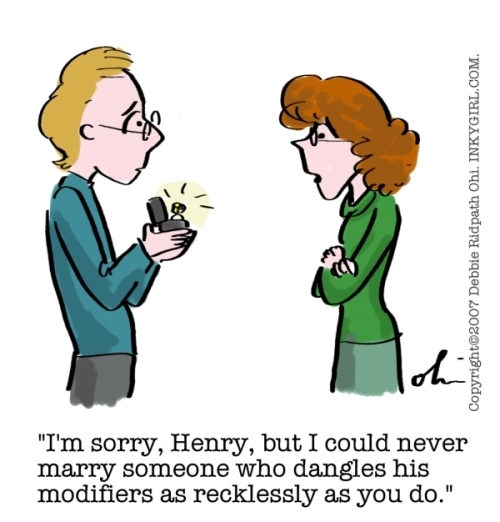 For the Love of All Things Holy, Don’t Let That Modifier Dangle! And then there’s the dreaded dangling modifier. Yes, that’s a fancy-sounding phrase, but the issue is a real one (no, not bad enough for you to break out the hand sanitizer and SARS mask). 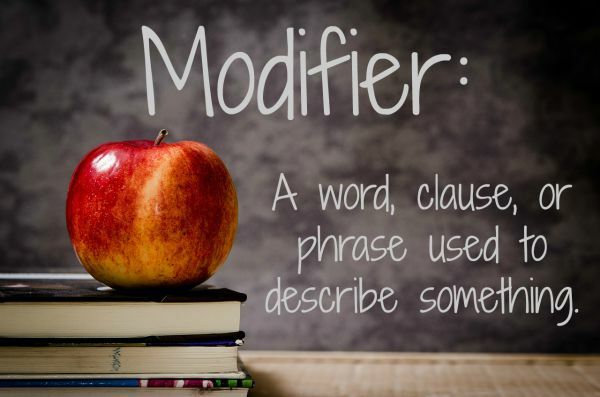 Before we jump into dangling modifiers, let’s do a quick grammar refresher on modifiers. Disgusted, the zombie spit out the fake brains. Throwing the pine cone, the sasquatch hoped to confuse its hunters. 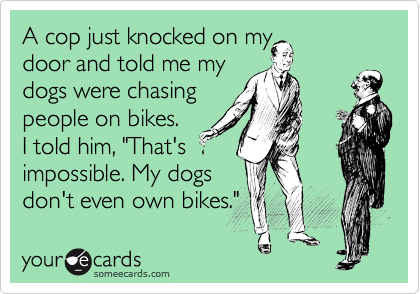 Easy-peasy, right? 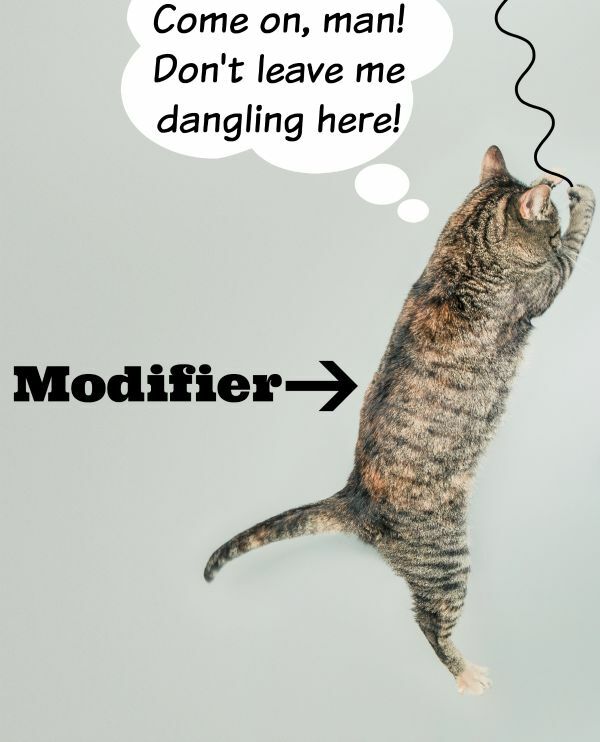 So what the hell is a dangling modifier? Thanks, sasquatch, for letting us use your fur! 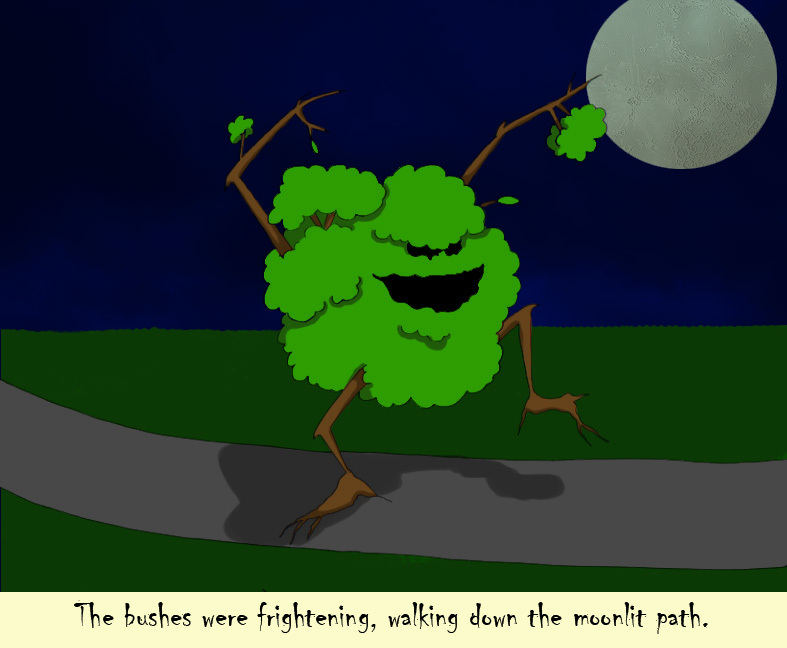 Now the real moment of fun has arrived: FUN EXAMPLES! 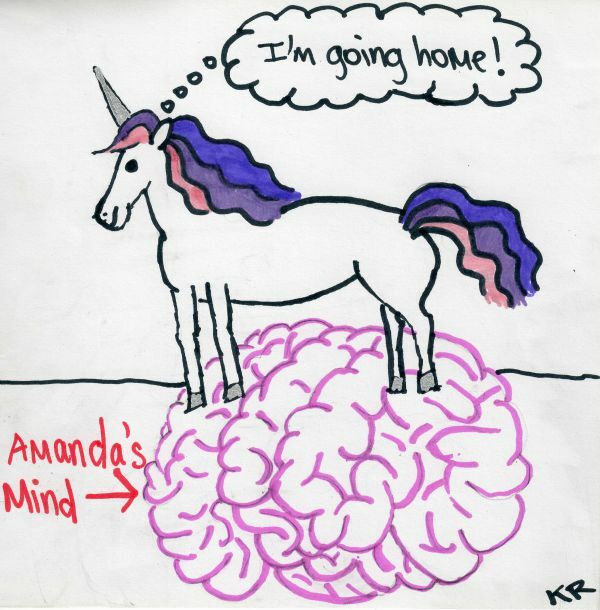 Walking home slowly, the most awesome of all unicorns was on Amanda’s mind. Source: You’re reading words created by her, pal. In all seriousness, don’t let your modifiers dangle, guys. 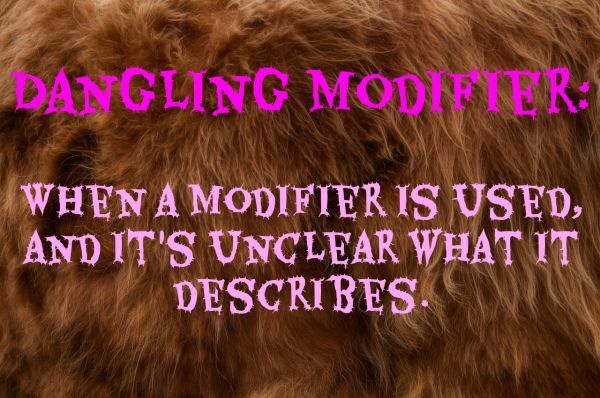 Did I help explain dangling modifiers, and do you see how annoying they are? Sound off in the comments below. Seriously, these are good reminders here. I love your humorous approach, and that damn cat and unicorn are just so cute!